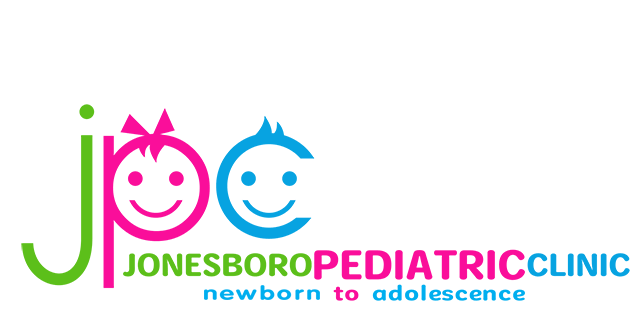 Welcome to Children’s Clinic in Jonesboro, Arkansas! We thank you for giving us the opportunity to take care of your child. 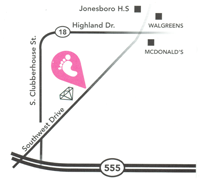 Please read some useful information below about our Children’s Clinic in Jonesboro, AR. Clinic Hours : Monday through Friday 8am to 5pm. Phones are answered Monday through Friday from 8am to 4:30pm. Outside of clinic hours, if there is an emergency please go to the nearest Emergency Department. If you need assistance during business hours, you may call our office and leave a message for our staff. Please note that our office is closed from 12pm-1pm and we will return your call after 1pm. MISSED APPOINTMENT POLICY : We ask that you contact us at least 24 business hours prior to your appointment time in the event you are not able to keep the appointment. When we have 24 business hours advanced notice, we are able to provide appointments to other patients in need. this cost and will not be billed. pediatric clinic, as we will not be able to accommodate your scheduling needs. these instances on an individual basis. We offer NEW MOM appointments to answer any questions or concerns prior to delivery. Please contact our billing department for any questions related to your account. When your child is in for a well-child visit and another medical problem is addressed that requires a referral to a specialist, a change in medicine, a diagnosis and prescription, etc., then the appropriate sick office visit along with the well child visit will be billed to your insurance. Developmental screens are conducted at certain well visits. The questionnaire can be completed in the office. In the event of a returned check, a $35 returned check fee will be charged. Any charges or costs paid to a billing and/or collection agency to recover properly billed charged will be added to the total and these additional charges will often make the total amount due to be higher than the original charge. We utilize an outside automated call center for appointment reminders. You will be contacted by phone, email or text message and will need to respond to the voice prompt. You can reschedule your appointment on this same automated call. Please make sure to mark your preferred method of contact for appointment reminders on the patient information sheet. Would you like access to your child’s medical records? Please ask about our Patient Portal. Again, thank you for the opportunity to treat your child. Please let us know if you have any questions or concerns.